Malta – a State and an Order – like the Vatican – special chapters in political science. Questions that call for more clarity at the UN – maybe a 2020 – 75 year review of the organization? We post this because of the great article that reminded us of the strange history of Malta in relation to the UN. “Welcome to the official website of the Permanent Observer Mission of the Sovereign Military Hospitaller Order of St. John of Jerusalem of Rhodes and of Malta to the United Nations. Now, this organization has an OBSERVER Status at the UN that is not an NGO (Non Governmental Organization) but a Non-Member State observer outfit that was the model for bringing the Palestinians into UN fraternal halls. Please, no misunderstanding here, I really do not compare the two cases – this because the Palestinians actually had a people behind them – but who are the people of the Order of Malta, Jerusalem, and Rhodes? Here – Is this not plain duplicity of the State of Malta? Is this just a game folks at the UN play? What is the difference between a group that has an ideal, or an oil company, but feels that it represents something that the UN was entitled to get organized for – THE PEOPLES OF THE WORLD? Talking of UN REFORM – how about having a true review of the organization at a date of choice? I suggest 75 years from its creation in 1945 – which adds up to 2020. That might mean a definition of Nation, Peoples, and government. A very worthwhile exercise in a post-Mandela World. That could clear the place of Malta – indeed a group of great touristic islands placed by nature at Europe’s doorsteps, and now also the entree for refugees from the Arab world that look for a friendly door to Europe. YES – Malta is a great place for tourism as well. Beneath Malta’s Beauty, a Tangled History. 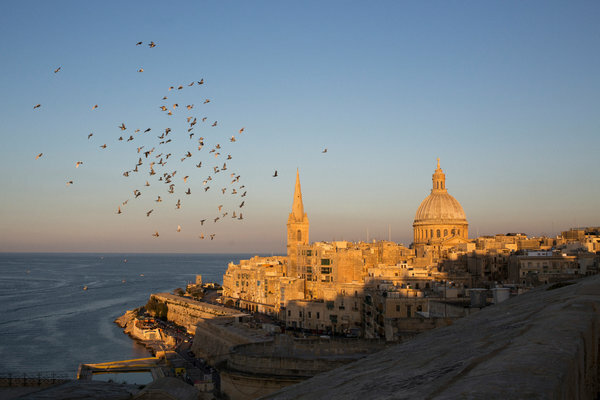 Views From Malta: Take a tour of the Mediterranean island-nation’s capital, Valletta. The history of Malta — actually an archipelago that includes three inhabited islands, just 50 miles south of Sicily — is peppered with violence and disorder. Today, though, it is hard to find a corner of the country that doesn’t feel peaceful and safe. Its crystal-clear, intensely blue waters make for some of the best snorkeling and scuba diving in Europe, while its beaches, rocky coves, arid hills and warm weather have long attracted northern neighbors in search of cheap sunshine. And yet not even 2 percent of visitors come from the United States. If you have seen it recently, it was probably in its role as a Hollywood stand-in for places like Athens (“Munich”) and Jerusalem (“World War Z”). Though it covers less than half a square mile, Unesco calls Valletta “one of the most concentrated historic areas in the world.” And despite plenty of visitors, it doesn’t have that over-touristed, museumlike feel that afflicts some historic quarters. During rush hour, Maltese on their way to and from work stream across the 16th-century bridge that leads from the surrounding neighborhoods into the city. At night they spill out of the Italian-Baroque Manoel Theater, which shows opera and classical concerts, to down quick espressos during intermission. On Friday evenings during the warmer months, the Bridge Bar puts out cushions on the 450-year-old stone steps outside its doors, and a throng gathers to listen to live jazz by candlelight. My interest in the era began at the age of 10, when a Spanish teacher gave me “El Guerrero del Antifaz” (“The Masked Warrior”), a swashbuckling and politically incorrect Christians-versus-Moors-themed comic book. It left me with a lingering interest in the fault lines between Christianity and Islam that, as an adult, would take me on trips across the region, from Spain to Syria. But even amid the endlessly complex, warring and trading history of the Mediterranean, Malta, right in the middle, stands out. In 1565 it was the site of an epic clash of civilizations when the Knights faced off against the superpower of the day, Sultan Suleiman the Magnificent’s Ottoman Empire. The gory and hard-fought Great Siege of Malta was the climax of a fight between cross and crescent for control of the region. One of the island’s crucial strongholds, Fort St. Angelo, sat directly across the Grand Harbour from the patio of my hotel, just about within canon range. When I stepped out of Mr. de Piro’s palazzo, which is called Casa Rocca Piccola and is open to the public as a historic home, it was immediately evident that I was in the city the Knights made. The sensible grid system that their architect, Francesco Laparelli (a former assistant to Michelangelo) laid out over a peninsula is very much intact, and makes it nearly impossible to get lost. Baroque facades, many with enclosed wooden balconies, line the roads, with stone steps serving as pedestrian thoroughfares over steeper terrain. Star-shaped Fort St. Elmo, which fell to the Turks early in the Great Siege, still hulks at one end. Newer buildings are nearly always built of the same gray-yellow-pink local limestone as the rest of the city, giving an elegant consistency to the whole metropolis. Even the not-yet-complete project that the superstar architect Renzo Piano has designed for the entrance to the city — which includes a new parliament building, a restored opera house and a gate reminiscent of a Mesopotamian ziggurat — is built of two types of Maltese limestone. As I walked around the city after dark, the stone glowed in splashes of light from bars and restaurants. I had arranged to meet a Maltese friend of a friend of a friend named Giovanni Buttigieg, but a few days before our appointment I ran into him by happenstance — perhaps not all that surprising in a nation of less than half a million. We were at the annual Festival of Mediterranean Literature, held outside the Valletta city walls at the Msida Bastion Historic Garden, a 19th-century Protestant cemetery flanked by Knights-era fortifications. A wine-sipping crowd of the country’s cultural elite — writers, artists, professors — filled the grassy terrace. In the balmy night air in front of a rapt audience, Albert Gatt, a lecturer in linguistics at the University of Malta, read the words of Khaled Khalifa, a Syrian novelist who was invited but unable to leave his warring country. Those gently wafting sounds and placid waters belied a brutal past. On a Sunday morning in June of 1565, just over a month into the Great Siege, the bodies of four Knights, decapitated and nailed to crucifixes, washed ashore at the base of Fort St. Angelo. Not to be outdone by this gift from the Turkish commander Mustafa Pasha, Jean Parisot de la Valette, Grand Master of the Knights, decapitated all of his Turkish prisoners and used cannons to lob their heads from Fort St. Angelo back across the harbor. During my trip across the harbor, I counted no fewer than four major fortifications looming above — as well as St. Angelo, there are Forts Ricasoli, St. Elmo and St. Michael. And I saw the steep walls of Valletta from a new angle, rising to 190 feet above me at their highest point, where the Upper Barrakka Gardens offer a conqueror’s view of the expanse below. This is what all those vanquishing forces were after: A well-defended harbor in the middle of a busy sea. From shining armor to model ships, watchtowers to war re-enactments, a full plunge into the Knights’ Malta could occupy an obsessive for months. I had just one more Knight-related stop to make, though, at a green-doored palazzo with a modest brass plaque that reads “Notarial Archives.” Joan Abela, a sprightly historian with rectangular glasses and a cherry-red manicure, let me into a tiled entrance hall as romantically dilapidated as Mr. de Piro’s palazzo was lovingly restored. A lone sunbeam pierced the shadow from high above, and I heard a trickle of water. Casa Rocca Piccola, 74, Triq ir-Repubblika, Valletta; 356-2122-1499; casaroccapiccola.com. The Inquisitor’s Palace, Triq il-Mina l-Kbira, Vittoriosa; 356-2182-7006; heritagemalta.org. Msida Bastion Historic Garden, Triq Vincenzo Dimech, Floriana; 356-2122-5952; dinlarthelwa.org/properties/419. Notarial Archives, 24, Triq San Kristofru, Valletta; 356-2123-7385; call for an appointment or email gmail.com. Upper Barrakka Gardens, enter from Triq Sant’ Orsla or Pjazza Kastilja, Valletta. St. John’s Co-Cathedral, Triq ir-Repubblika, Valletta; 356-2122-0536; stjohnscocathedral.com. The Bridge Bar, Triq il-Lvant, Valletta; 356-7947-4227. D’Office, 132, Triq l-Arcisqof, Valletta; 356-2722-1475 or 356-9944-1120; d-officevalletta.com. Palazzo Preca, 54, Triq id-Dejqa (Strada Stretta or Strait Street), Valletta; 356-2122-6777; palazzoprecavalletta.com. Tico Tico, 61, Triq id-Dejqa (Strada Stretta or Strait Street), Valletta; ticoticovalletta.com. The British Hotel (40, Triq il Batterija, Valletta; 356-2122-4730; britishhotel.com) has utilitarian rooms with dated furnishings but spectacular views of the Grand Harbour. Sea-view rooms with breakfast, from 75 euros ($98 at $1.31 to the euro). The Xara Palace (Misrah il-Kunsill, Mdina; 356-2145-0560; xarapalace.com.mt) is a preserved Knights-era palazzo transformed into a luxury hotel, in the medieval walled city of Mdina. Doubles from 180 euros. Summing Up – The implementation of The Israel-Turkey Reconciliation Agreement and Financial help for the survival of Jordan are the Visible Results of the Obama Foray into the Middle East. Not mentioned so far are possible moves on Syria, Cyprus, or Egypt. The reconciliation between Israel and Turkey is a very important development that will help advance the cause of peace and stability in the region. Prime Minister Netanyahu and Prime Minister Erdogan deserve great credit for showing the leadership necessary to make this possible. As I discussed with Prime Minister Netanyahu this evening, this will help Israel meet the many challenges it faces in the region. We look forward to an expeditious implementation of the agreement and the full normalization of relations so Israel and Turkey can work together to advance their common interests. Since 2007 employment rates have increased only in Austria, Germany, Israel, Luxembourg, Malta and Poland with the other 30 advanced economies in an alarming decrease because of austerity measures in time of recession. GLOBAL JOBS CRISIS EXPECTED TO CONTINUE FOR SOME TIME, WARNS UN REPORT. The global employment situation is alarming, says a new United Nations report released today, which also warns that recovery is not expected any time soon. The World of Work Report 2012: Better Jobs for a Better Economy – published by the UN International Labour Organization (ILO) – says that around 50 million jobs are still missing compared to the situation that existed before the global economic crisis. It also warns that the global jobs crisis is likely to get worse due to several factors, including the fact that many governments, especially in advanced economies, have shifted their priority to a combination of fiscal austerity and tough labour market reforms. Such measures are having “devastating” consequences on labour markets in general and job creation in particular, ILO stated in a news release. “The narrow focus of many Eurozone countries on fiscal austerity is deepening the jobs crisis and could even lead to another recession in Europe,” said the Director of the ILO Institute for International Labour Studies and lead author of the report, Raymond Torres. Another factor leading to a worsening jobs crisis is that many jobseekers in advanced economies are demoralized and are losing skills, something which is affecting their chances of finding a new job. In addition, small companies have limited access to credit, which in turn is depressing investment and preventing employment creation. “In these countries, especially in Europe, job recovery is not expected before the end of 2016 – unless there is a dramatic shift in policy direction,” according to ILO. Other factors include the fact that, in most advanced economies, many of the new jobs are precarious and there exists the possibility of increased social unrest in many parts of the world. According to the report’s Social Unrest Index, 57 out of 106 countries with available information showed a risk of increased social unrest in 2011 compared to 2010. The regions with the largest increases are sub-Saharan Africa and the Middle East and North Africa. Among the other findings of the report is that employment rates have only increased in six of the 36 advanced economies since 2007 – Austria, Germany, Israel, Luxembourg, Malta and Poland – and that youth unemployment rates have increased in about 80 per cent of advanced countries and two-thirds of developing countries. At the UN, Mr. Recep Tayyip Erdogan of Turkey, talks of Somalia (he has been there) and Cyprus (there he is against unilateral activities before talks) going beyond Israel and Palestine. The Turkish Prime Minister has called for urgent action to help Somalia alleviate its humanitarian crisis and to build peace and stability, stressing that the world cannot let the cry of the Horn of Africa nation go unheard. Mr. Erdogan said he witnessed the poverty and suffering of the Somali people during a visit to the country last month. Turkey has launched an aid campaign for Somalia, collecting $300 million within the last two months. It also organized an emergency meeting of the Organization of Islamic Cooperation (OIC) that resulted in more than $350 million in pledges, and has undertaken various projects, ranging from transport and agriculture to education and construction of roads, hospitals and schools. And by re-opening its embassy in the Somali capital, Mogadishu, Turkey has shown the world that claims of security challenges cannot be an excuse for delaying assistance, said Mr. Erdogan. In addition to alleviating the humanitarian situation, it is also necessary to act urgently to support efforts to build peace and stability in Somalia, he added. “As Somalia takes its well deserved place within the international community, the world will become a safer and more stable place,” Mr. Erdogan said. The Prime Minister also voiced Turkey’s “unconditional” support to the recognition of the State of Palestine, and called on Israel to take the necessary steps towards peace rather than building new barriers. Turkey, he noted, has never pursued hostile and confrontation policies against any other country, but has always acted on the basis of cooperation and friendship. “However, Israel has made a grave mistake against a country and its people,” he said, referring to the May 2010 incident in which nine people were killed during Israel’s interception of an aid flotilla headed for Gaza that originated in Turkey. An independent panel of inquiry examining the flotilla incident released a report earlier this month in which it found that Israel’s interception of the vessels was “excessive and unreasonable,” while the flotilla acted “recklessly” in attempting to breach the naval blockade. Turning to Cyprus, he said that Turkey will continue to support a comprehensive and lasting solution to produce a united country, in line with the UN-backed negotiations, but will not let the future of the Turkish Cypriots remain uncertain forever. “At this critical juncture, we can also not accept any attempt by the Greek Cypriot side to act as if they are the sole representative of the island or have the authority to make decisions on behalf of the Turkish Cypriots,” he stated. The attempts by the Greek Cypriot side to unilaterally determine maritime jurisdiction areas and to engage in oil and natural gas exploration activities in these fields are “extremely irresponsible” both in terms of timing and possible outcomes, the President added. Mr. Erdogan also discussed the Cyprus talks and the flotilla report, among various other issues, in a meeting with Secretary-General Ban Ki-moon yesterday. UPDATED -To be more Arab then the Arabs – September 2011 Turkish PM to visit Egypt, Tunisia, Libya – maybe Gaza – crossing from Egypt. Now Turkey says that its fleet, as “guarantor of North Cyprus,” will take on Israel. AP – Turkish PM to visit Egypt, Tunisia, Libya. By SUZAN FRASER, Associated Press – September 7, 2011. An official says Turkey’s prime minister is planning to visit Egypt, Tunisia, and Libya, where popular uprisings have ousted autocratic leaders. Recep Tayyip Erdogan was already scheduled to visit Egypt, starting on Sept. 12. But a Foreign Ministry official said Wednesday trips to Tunisia and Libya “are also on the agenda.” He spoke on condition of anonymity in line with the ministry’s rules. Erdogan has said he intends to also cross into the Gaza Strip from Egypt, but it was not clear if that trip would go ahead. Erdogan’s tour comes at a time as ties between Turkey and its former ally Israel have deteriorated further over Israel’s refusal to apologize for last year’s raid on a Gaza-bound flotilla that killed nine pro-Palestinian activists. “Turkish warships, in the first place, are authorized to protect our ships that carry humanitarian aid to Gaza,” Prime Minister Erdogan said in an interview with Al-Jazeera on Thursday. Two Comedy Evenings by Hanoch Levin (1943-1999) at Cameri 2 in Tel Aviv. – “Thrill my Heart – Hartiti et Libi” was released to the theater only after his death; “Shitz” is an old success. Both scripts are highly relevant to the Israel of today. 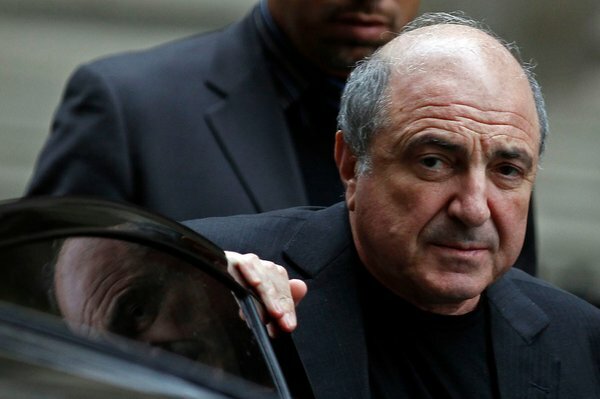 We understand why Hartity was not staged earlier – it is in effect a summing-up of the Levin world – if you see this excellent summary – you feel you have seen it all. THIS WAS A WORK IN PROGRESS WRITTEN AFTER I SAW ONLY HARTITY – I Piked this up again after having seen SHITZ last night – Sunday August 14th. A terrific monolog in this play has just one word – LOVE. The actor manages to find all nuances he wants to find there – we reach from his dreams to the miserable reality of his life. Then there is the LaLaLa who is also the Fegra we mentioned in the previous posting – the critically attacked targets of the Levin world. Here interpreted by Jeta Monte, the character lives with every little movement on the stage. On the male side – all Levin Characters first shown in the Ya’akobi and Leidental play – roll up here as Judge Lamka and his friend or alter ego – Pashuniak with the only real woman the just So-So. The LaLaLa here is presented as a singer that is really not a singer. She has plenty of time for her cavaliers which she presents to Judge Lamka as professionals and he is so gullible that he accepts it. In general – this is a very good production of a very sad comedy. To my tremendous surprise, I found that the Cameri Theater production was preempted by a production in Nicosia, Cyprus, March – May 2011. ‘Thrill My Heart’ is a romantic comedy with no romance, which tells the story of a judge and his singer-lover. The play, written by Israel’s most renowned playwright, was discovered shortly after Levin’s death in 1999 and caused a stir of excitement and anticipation. So, should we look into the Middle East politics that evolved on their own, but nevertheless one could say that were predicted by Hanoch Levin when he wrote into the Israeli classics the characters of the Fogra and the LaLaLa? No, we will not enlarge on this here on what we hinted already in posting #2. SHITZ is a family comedy with Levin’s wit and songs dating back to 1988. The original staging was by Roni Toren and it was very popular at that time. The Shitz family is a mirror to a society that sees its base crumbling while there is a growth of the lust for money. The couple Fefechts and Tsesha have long dreamt of the day when their daughter Schprachtzi will find a husband. Cherches, a former officer in the military, shows interest, and he wants to marry Shprechtzi. Shprechtzi wants a ring and a baby, Tcharchess wants money and lots of it. The money must come from Fefechts, the father, who does not have the money or simply does not want to part with it. “A delicate matter as the non-existence of a father must be carefully arranged” Tcharchess tells Schprachtzi. The two begin to plan, and try to execute, and even manage to get Tsesha, the mother, into their dreams and schemes. The first performance of this revival by a production team from the Mara Theatre of Kiryat Shmona and the Upper Galilee (directed by Yagil Eliraz with original music by Adi Zisman) with the actors from the Cameri Theatre – Rami Baruch, Esti Kosovitzki, Alon Dahan and Irit Kaplan, took place at the Cameri on February 17, 2011. Europe is falling apart for five reasons: xenophobia, its values, the euro, foreign policy, and leadership – this from the European Council on Foreign Relations. Five reasons why Europe is cracking up. José Ignacio Torreblanca joined the European Council on Foreign Relations as a Senior Research Fellow and Head of the Madrid Office in September 2007. In Germany, France and Italy, but also in many other places, we find ourselves confronted with a generation of leaders ever more shortsighted and given over to electioneering: among them, none speak to Europe nor for Europe. Denmark has reintroduced border controls with the populist excuse of controlling crime. By taking the step, the country that was once a model of democracy, tolerance and social justice has placed itself on the frontlines of a Europe that is increasingly surrendering to fear and xenophobia. Greece, meanwhile, has spent more than a year teetering on a cliff edge and few fellow European governments seem disappointed that it may abandon the euro – some of them are even secretly supporting the markets against Athens. Finland has thrown itself into the arms of xenophobic populism and, following in the footsteps of Slovakia, has refused to finance the bailout of Portugal. With elections around the corner, France and Italy have taken advantage of the Tunisian uprising to restrict the free movement of people within the European Union. And Germany, unhappy at managing the euro crisis amid regional elections, has broken ranks with France and the United Kingdom in the United Nations Security Council, ignoring the Libya crisis and undermining 10 years of European security policy. With the future of the euro in doubt and the Arab world erupting, European leaders are governing on the basis of opinion polls and electoral processes, hanging on to power through any means possible even if that results in undoing the Europe that it took so much time and so many sacrifices to build. Few times in the past has the European project been so questioned and its disgraces so publicly exposed. It would seem that in the Europe of today, having a large xenophobic political party is obligatory. The truth is that Europe is cracking up along four fault lines: its values, the euro, foreign policy and leadership. If there is no radical change, the integration process could collapse, leaving the future of Europe as an economically and politically relevant entity up in the air. With every passing day, the sensation that Europe is fragmenting is more real and more justified. Can Europe break apart? The answer is evident: yes, of course it can. At the end of the day, the European Union is a human construction, not a celestial body. That it is necessary and beneficial justifies its existence, but that will not prevent it from disappearing. Just as a series of favorable circumstances led to the risky launch of this grand project, the unleashing of a series of adverse circumstances could very easily make it disappear, especially if those responsible for defending it shirk their responsibilities. Many committed pro-Europeans are conscious that the danger of Europe unravelling is very real, and they are duly worried about the course of events. However, at the same time, they fear that feeding pessimism with warnings of this nature could only serve to accelerate the collapse. But when, day after day, we see the red lines of decency and the values that Europe embodies being crossed by bigoted politicians who unscrupulously fuel the fears of citizens, it is impossible to continue looking the other way. Seeing the clarity of ideas and the determination with which the anti-Europeans pursue their objectives, it is hard to believe that mere optimism will be sufficient by itself to save Europe from the ghosts of doggedness, egoism and xenophobia that are haunting it at present. Without an equal level of determination and clarity of ideas from the other side, Europe will fail. Under the Polish Presidency, will the EU look East, South, or Inwards? That is as of now the honest real unanswered question. Further – what about oil import, nuclear, and sustainability policies? Poland to use 1989 revolution as lesson for Arab countries. EUOBSERVER / BRUSSELS – Poland is to use lessons learned from its 1989 revolution against Communism to help spread democracy in the Arab world during its upcoming EU presidency. Warsaw had originally aimed to concentrate on political reform in the EU’s post-Soviet neighbours in the east. But a new draft programme for its six months at the EU helm adopted by the government on Tuesday (15 March) and seen by EUobserver notes that events in north Africa and the Middle East are forcing it to change priorities. “Thanks to the rich experience of its own, successful political and economic transformation, Poland can bring a lot to this debate and furnish practical help for the new governments in north African countries,” the paper says. In one example, Polish foreign minister Radek Sikorski is re-working plans to create a new EU foundation to help dissidents in countries such as Belarus. An international conference in December on the Sikorski project will now be devoted to “supporting transformational processes” in north Africa instead. With deadly violence in Bahrain on Tuesday opening a new front in the Gulf states, a Polish diplomat noted that the programme is likely to see more changes in the next three months. “We are only half-way through the Hungarian presidency. We will know the final Polish priorities when the government presents them to the EU Council and the European Parliament in July,” he said. The provisional Polish calendar still leans toward the east rather than the south despite the political preamble. Poland aims to hold a summit (date to be confirmed) and a foreign-minister-level meeting (in December) with the six post-Soviet countries covered by the EU’s Eastern Partnership policy. Six other high-level meetings in Warsaw and Krakow will look to EU-Eastern Partner integration in tourism, phytosanitary standards, statistical reporting, infrastructure, the economy and migration. On Russia, Poland “hopes” to make some progress on signing a new EU-Russia treaty, but makes no mention of concluding the pact. On the Balkans, it aims to sign the accession treaty with Croatia and to hold an EU home affairs ministers meeting in Ohrid, Macedonia, in September. Rising ethnic tensions in the country are threatening to undo the Ohrid Agreement peace treaty of 2001. Poland’s other top priorities will be energy security and the EU economy, with little mention of previous plans on EU military integration. One pet Polish project will be to help the European Commission set up a “28th” legal regime for online transactions to stand alongside the 27 member states’ existing laws in the area. The first EU summit on the Polish watch is to take place in Brussels on 14 September. The last one will be in the EU capital on 9 December. A Hanukkah miracle in the Carmel forest? Israeli and Palestinian Fire Fighters Shoulder-to-Shoulder taking on the blaze and Turkish helicopters helping from above? Pincas– Israel was struck by disaster on Thursday – four days ago: A forest fire blazed out of control outside of Haifa. More than 40 people were killed. Israel’s firefighters didn’t have the manpower or the equipment to put out the blaze. Today the fire is under control thanks to assistance Israel received from the United States, European countries, Turkey, and its Arab neighbors. That’s right. Egypt, Jordan, and even the Palestinian Authority sent men and equipment to help Israel put out the flames. Skeptics believe that the Israelis and Palestinians harbor so much hate and pain that peace is impossible. The events of the past week show that they are wrong. The image of Palestinian firefighters standing shoulder-to-shoulder with their Israeli counterparts shows us that both peoples understand that they have a common humanity and a shared future. This week, in the midst of tragedy, we saw a glimpse of the future that we’re fighting for. Thank you for being a part of our movement. PS — Israeli security expert Yossi Alpher penned a column for APN with insights on the strategic ramifications of the fire. To read the Alpher article – please – Check it out here. 35 Years Ago – on August 8, 1975, geoscientist Wallace Smith Broecker crafted the words GLOBAL WARMING. Thirty-five years ago this week, Wallace Broecker predicted decades of dangerous climate change caused by humans. Unfortunately, he was all too prescient. On Aug. 8, 1975, geoscientist Wallace Smith Broecker published “Are We on the Brink of a Pronounced Global Warming?” in the journal Science, the first time the iconic phrase “global warming” was used in a scientific paper. Broecker — known by all as Wally — was already a prominent scientist by then, having served on Columbia University’s faculty for 16 years. Today, at age 78, Broecker is recognized as one of the fathers of climate science, with more than 450 journal publications and 10 books to his name, ranging from paleoclimatology to chemical oceanography. The past 35 years have also seen humanity answer Wally’s question in the affirmative, running a radical experiment on the only planet we inhabit. Carbon dioxide levels have risen 40 percent to 392 ppm from preindustrial levels of 280 ppm, and the global mean temperature has risen 0.8 degrees Celsius, on 1.3 trillion tons of carbon dioxide. Humanity has produced 60 percent of that global-warming pollution since Broecker’s paper was published. As a result, the planetary ecosystem has fundamentally changed — weather has become more extreme, seasons have shifted, and global ice and snow are in decline — with more rapid and radical change on its way. In fact, one can even go back to the 1896 work of Swedish scientist Svante Arrhenius, in which he predicted that the burning of coal could eventually double atmospheric CO2, leading to a temperature increase of several degrees Celsius, though he believed such a day was far into the future. For the next 50 years, most scientists considered man-made climate change an unlikely speculation. In the scientific explosion following World War II, however, scientists began using new measurements and the era’s new digital computers to revisit the effect of humanity’s carbon dioxide pollution on the climate, and our modern understanding of the greenhouse effect developed through the work of pioneering scientists like Gilbert Plass, Hans Suess, Roger Revelle, and Bert Bolin (eventually the first chair of the U.N. Intergovernmental Panel on Climate Change in 1988). By the end of the 1950s, Frank Capra had made an instructional film on man-made global warming, and Revelle had testified before Congress about the “large-scale geophysical experiment” humanity was conducting with industrial greenhouse gas pollution.